And with the success of the fair, the problem of finding parking for all those cars comes up. 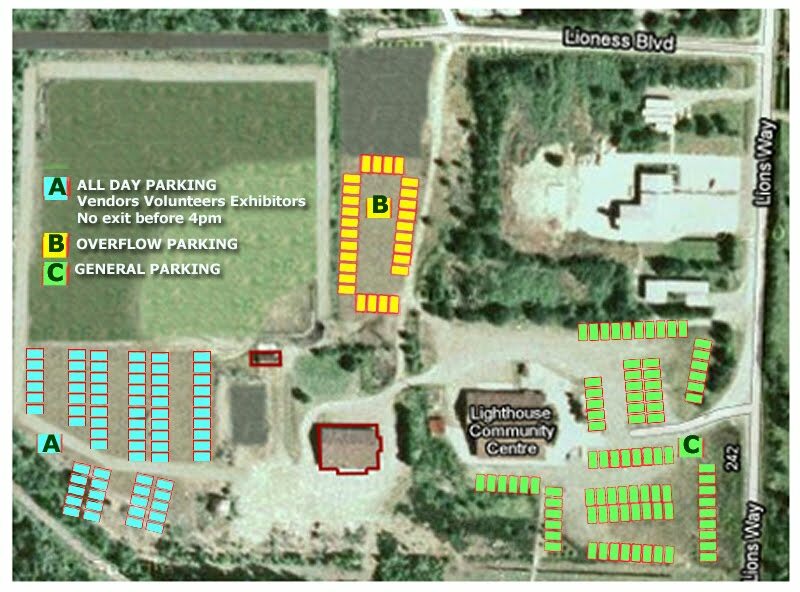 This year, we are asking all exhibitors, volunteers, vendors and anyone who will be on the fair site for the full 6 hours, to come a little early, set up all that you need and then take your care to park at the all day parking lot (A) behind the Lions hall. Return to your place before the 10am start. Once your car is in the upper parking lot, you won't be able to take it out before 4pm. This is mainly for safety reasons. There are a lot of happy distracted kids running around the access areas. A golf cart taxi will be available for anyone wishing to hitch a ride back to their exhibit. Your car in parking lot A means one less car left on the highway and a better fair for everyone.